Often it seems creativity flourishes in an absence of infinite resources. Case in point: Robert Rodriguez. 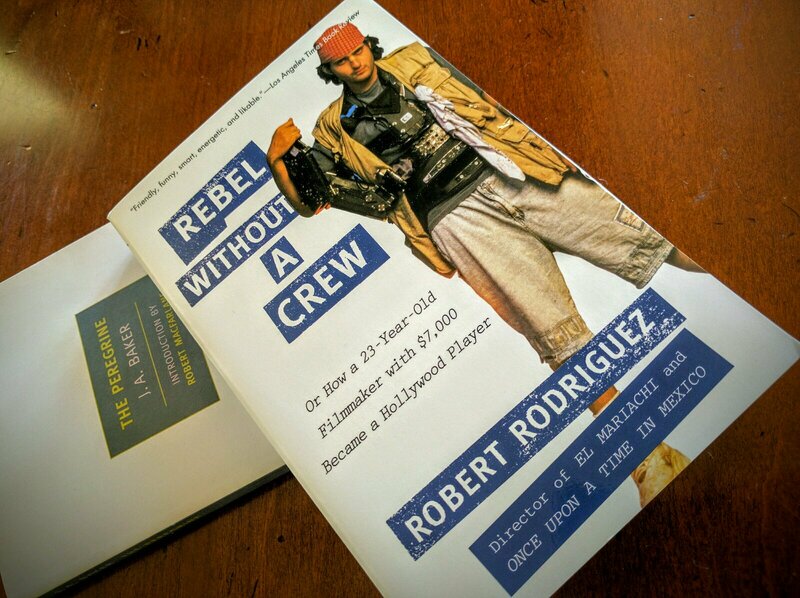 That success story is documented in “Rebel Without a Crew”. It’s been around for some twenty years now. Thanks to Werner Herzog’s online film school, I finally came across the book. One of Herzog’s lessons implored us to be creative, to do more with less. 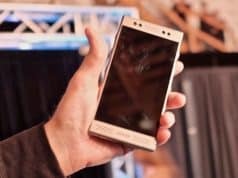 Learn how to work without infinite budgets. Just the get job done, some how, some way. Rodriguez is surely the most fitting poster child for doing just that. So we were told to read his account of how he took El Mariachi from a mere dream to the big screen. “Rebel Without a Crew” is a fascinating read. I was expecting to pick it up, read a few pages here and there, skip through, and put it away after an hour or so. Instead I read it straight through in only two sittings. A large part of being drawn in so thoroughly is the author’s wit. Charm bubbles over. As does enthusiasm. And the humor! Earlier in the book, when his idea a movie was merely scribbled notes, Rodriguez would volunteer at medical trials to earn enough money to afford to buy a camera and crew up for the shoot in Mexico. So he’d subject himself to the wonders of mystery drugs, shacked up in a facility for weeks on end. He’d whittle away his time writing a script, and also watching classic films with his fellow inmates–err, “lab rats”. 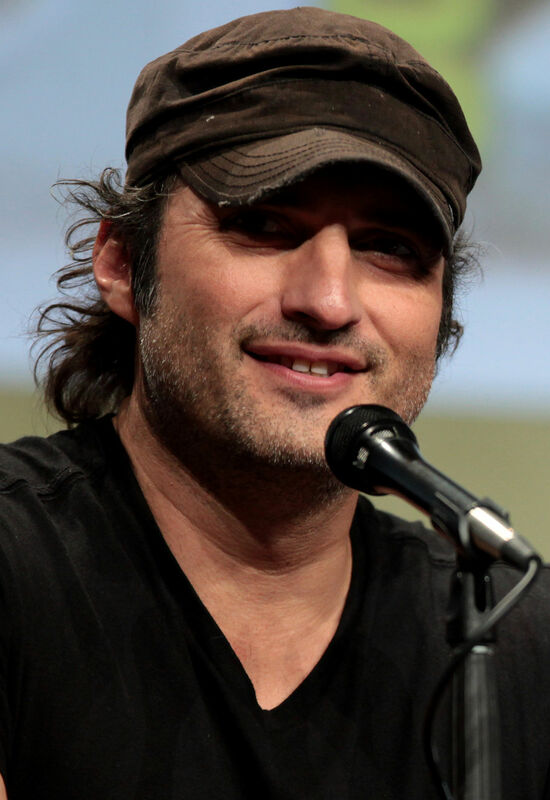 Filmmaker Robert Rodriguez at San Diego Comic Con. Photo: Wikipedia. Rodriguez takes us from beginning to end: writing the script (that would become his smash debut El Mariachi), preproduction (sourcing a camera for cheap! ), production, postproduction (painful pre-digital editing on tapes and film), and “the chase” as he sought to sell the film (initially) to a Spanish distributor. After learning about how he locked himself up for days on end in an edit suite to finish the film, breaking only to grab a late night burger, only to then spend sleepless months chasing down a distribution deal, you put down “Rebel Without a Crew” slightly exhausted. And inspired. For every obstacle, it seemed Rodriguez had an ingenious solution or two. Need fancy camera angles to make a film look more expensive than it was to make (so he can sell it for more money)? No problem. Crash zoom during takes, then edit later so that the final cut looks like there was a large crew setting up multiple takes. Easy. Buddies of his back from the lab days would be perfect. In fact, this is exactly how first time actor Peter Marquardt landed the role as the mysterious villain Mauricio. A few weeks of all-nighters editing, doing foley, syncing audio — by himself — should do the trick. Originally, Rodriguez wanted to sell the film to the Spanish video market. Maybe he could get $20,000 or $30,000 for distribution rights in Mexico. After a torrid pace of film festival hopping (including Telluride, TIF, Sundance), and dogged determination in his attempts to get meeting with the studios in L.A., something happened: people began to take notice in his little project. Columbia. Disney. And other big names began to return his calls, and invite him for swanky lunches (RR entree of choice: a big “juicy” steak). Eventually his hard work would pay off. A bidding war ensued. …when in doubt: bolt a machine gun to your lead actresses’ leg. The nice thing about Rodriguez is that he comes off (and I believe still does to this day) as a nice guy. A nice guy that won. Even when people were throwing all sorts of offers his way he was kind enough, and certainly savvy enough, to know that he should not burn bridges. If he were to have a long career in this town he’d need to build as many quality relationships as possible. As an aside, I think you see this side of him in his writing, and the fact that despite many of his most successful projects feature highly stylized violence, several of his films are also family-centric (Spy Kids). Ultimately Columbia Pictures won the chase, and sorted a deal with Rodriguez and his Los Hooligans Productions. 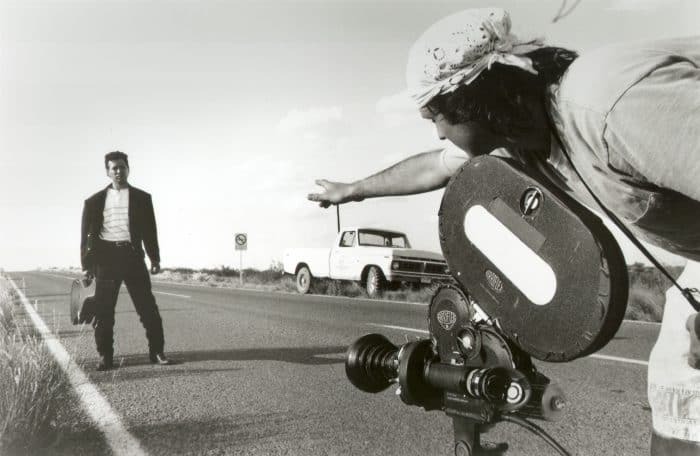 Robert Rodriguez directs Carlos Gallardo in an opening scene for his feature debut El Mariachi (1992). It was at that point in the book I learned the monetary significance of wearing multiple hats. Under collective bargaining agreements and the various Hollywood gilds, there are minimum salaries for various roles on a film. Because Rodriguez not only directed El Mariachi, but also wrote, edited and shot the film, his payday was quite sweet. By his account, he walked away with about $700,000. This was 1991/1992. Not too bad for a guy once known as “Red 11” to medical testers. “Rebel Without a Crew” is as much an entertaining account of someone’s success as it is a proverbial “10 minute film school.” You won’t find things like “10 things to do when writing a script” or “How to block a scene” or “5 tips for lighting a scene.” There’s plenty of books out there that cover all of that. And, Rodriguez does provide insight into those very topics, but does it by taking us through the actual shooting process for El Mariachi. His memory for detail, and ability to explain how various scenes came together, and how he worked with local law enforcement to borrow machine guns (!) are as informative as they are entertaining. This guy? Resourceful. Nothing I’ve written so far is news. This book has become a famous read. For good reason. 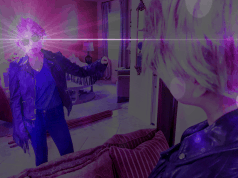 It bursts with energy and confidence. Mistakes along the way are merely minor inconveniences and yet another opportunity to do it better the next time around. After finishing the book, I immediately found my way surfing his career. I watched El Mariachi. Loved it — especially since I knew all the tricks employed to make it look “fancy” with a big budget feeling. Then, his follow-ups Desperado (1995) with Antonio Banderas (talk about commitment to a project! ), and From Dusk Til Dawn (1996). The rest, of course, is recent, Hollywood history including Sin City (2005), Grindhouse (2007), Machete (2010), and most recently a TV-series based on From Dusk Til Dawn. Amazingly, on many of these projects the rules of Robert Rodgriguez’s “Ten-Minute Film School” apply, as he finds himself, still to this day, wearing so many hits (literal and otherwise): director, writer, cinematographer, composer… craft services, runner, joke teller, etc. Rebel without a crew indeed. 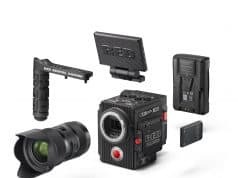 I suspect a lot of fledgling filmmakers and video producers fall into the trap of wanting the best equipment. Pixel peepers are us. After taking Werner Herzog’s class, and reading “Rebel Without a Crew”, among other books, I thought hard about what mattered most. 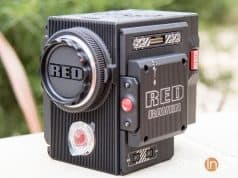 So I sold my vaunted RED Raven camera. I wanted to return to creative principles we had chased down here on Stark Insider when we founded the site in 2006. @StarkInsider Glad you enjoyed it, and thanks so much for the terrific write up! Back then Loni and I would scrap our way. $10/month for a server. Wow, that was steep! Somehow I managed to save up enough to buy our first camera, a Canon Vixia camcorder. I bought an adapter on eBay so I could use Canon EF still camera lenses to give our videos a more “film-ic” like vibe. Only one problem. The image on the LCD would invert, so everything was upside down. Still we plugged away. Then I saved enough to buy the new dream DSLR, the Canon EOS T2i in 2010. 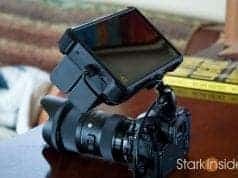 The DSLR revolution. Even hot shots like Danny Boyle were using them! Soon enough I was upgrading every few years. Things got a little easier. RED was always way too expensive. Then their new camera came along, and I pre-ordered. But, as we discovered, that would takes us down the wrong path. Too much focus on the gear. Not enough attention on things like story-lines, lighting, composition… and just about everything else. 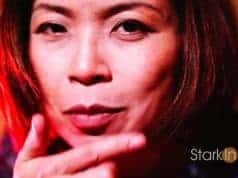 In short: I want to stay hungry. Creatively hungry. Create or die. “Rebel Without a Crew” is must reading. Not just for filmmakers, but for anyone who wants to know what it really takes to make it. The hustle. A reminder that sometimes you need to work really hard to make it look like you’re not working hard. That Robert Rodriguez, after all his deserved success, seems so eager to share his knowledge, and help others bootstrap their careers and chase down their dreams, speaks volumes to his character. Yeah, nice guys don’t always finish last. And when in doubt: bolt a machine gun to your lead actresses’ leg. Target Hollywood: Could Apple acquire RED Digital Cinema?